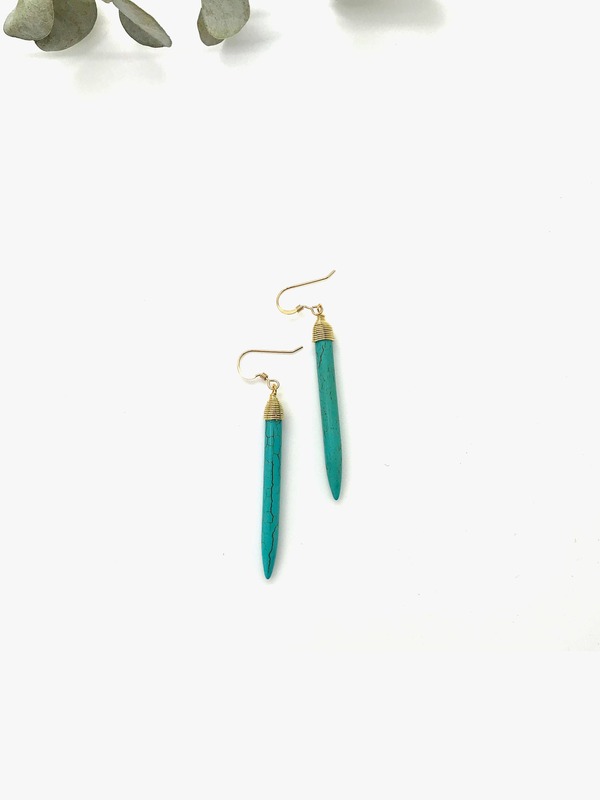 These pretty turquoise earrings feature a smooth, polished turquoise spike dangling from gold fish hook pierced earring wires. 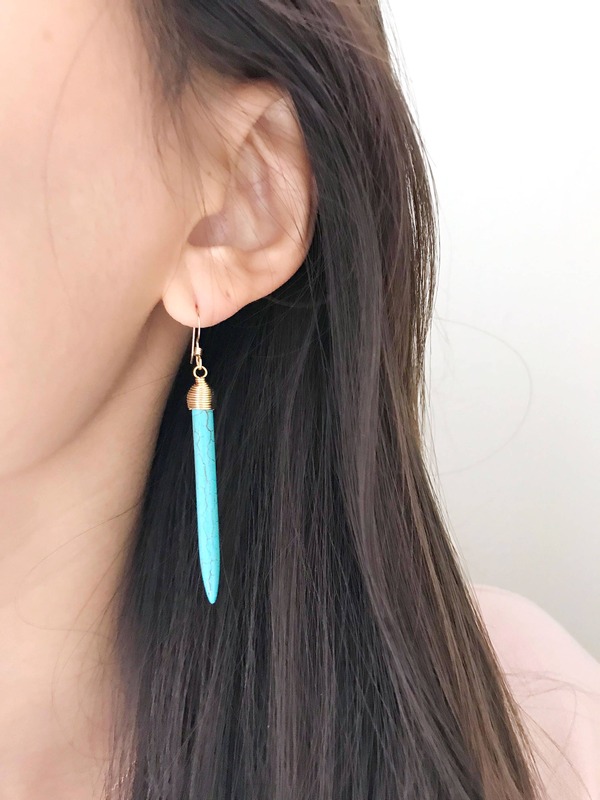 I gave them as a gift. 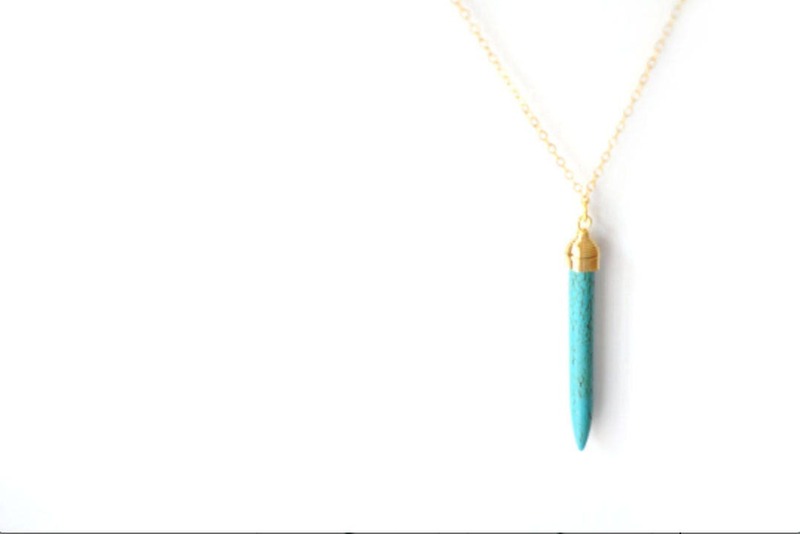 I liked the simplicity of the design along with the beauty of turquoise. Quality was good.